Chinese technology giant Huawei has said that it welcomes the scrutiny that it has experienced over the past couple of years - and that it in fact has helped the business maintain a competitive edge in research and development. Speaking from Huawei's headquarters in Shenzhen, China, chief marketing officer for the Wireless Network product line, Dr Yuefeng Zhou, said: "Facing strict scrutiny as a vendor is actually something that we are glad of. Because rapid innovation or improvement for an R&D intensive team would be impossible without external stress. "We in particular welcome the discussions or stresses that are based on fact and driven by technological responsibility. However, groundless suspicion or conjecture on one hand would be unfair for us, and on the other hand not helpful for the telecom sector's future with respect to 5G development," he told Computerworld UK when asked about the subject. The company, which has found itself at the centre of accusations led by the United States, but also by intelligence figures in Britain, said it is currently in "phase one" of its plan for 5G - providing the same kind of enhanced mobile broadband (or eMBB) that connect industrial systems and consumer devices. Next it wants to provide the kind of "ultra reliable low latency" usually associated with 5G, which will allow operators to offer critical functionality at the edge of networks, enabling use cases like autonomous vehicles, for example. In an opening presentation, Dr Zhou noted that Huawei currently has 30 commercial 5G contracts and that there are 25,000 base stations shipped. The company provides connectivity at the "highest" locations, namely Mt Everest at 6,500 kilometres, and the lowest, such as the Caribbean Sea Bed at 2,900 kilometres below the sea. As nice as these figures are, the elephant in the room was clearly the recent controversies targeted at Huawei - such as fears in Australia that the company will be a risk to national security. However, Zhou looked to draw a line from the development of 2G, 3G and 4G to 5G networks today - saying that they are essentially built on technologies that forked from those legacy systems, and that a base station is still a base station. So the 5G fears are an overestimation, he said. He added that security has always been at the top of the agenda for the telecommunications industry in general - from 2G through to today. "There are two important aspects that we perceive from past experiences," Zhou said, during a media roundtable. First is a standardisation of security requirements, so that everyone from vendors to operators and governments have "solid ground" to evaluate "whether or not parts of different vendors are safe." By fostering cross-industry cooperation on these 5G security standards - both international and regional - all the stakeholders will have a firm footing to know what they need to adhere to. The National Crime Security Centre, or NCSC, is Britain's centralised cyber security organisation. It provides advice to businesses operating in Britain, as well as functioning as a crime-fighting wing of the government, with GCHQ as its parent organisation. The NCSC, Zhou said, has done a lot of work for setting regional security standards - and it can "serve as an example in other countries in setting security requirements". "Recently we have noted that Germany and the EU as a whole has been discussing standardising security requirements so as to provide a solid foundation for a security evaluation," Zhou said. "We believe this is sound progress." He added that an "open and transparent cooperation mechanism and platform" would also be useful for flagging technological problems in 5G. "As technology progresses and applications diversify we need such an open and transparent cooperation mechanism for us to be able to identify and rapidly solve problems," Zhou said. "Therefore, Huawei would be glad to see progress being found in such a cooperation mechanism...because in that way we prevent problems from flowing to the operators and end consumers." 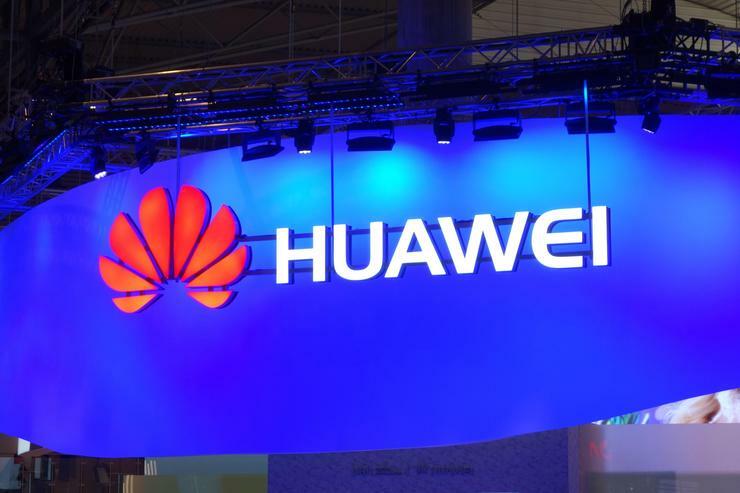 Huawei and Britain have had a long history of collaboration - with the company opening a cyber security centre in Banbury, Oxfordshire, which was designed to allay fears that the business might be a tool of espionage or other threats to national security. It invited independent experts to test Huawei gear, including major names in British industry. When asked if the politicising of technologies could be a more overt problem in the future, Zhou said: "This entire telecoms sector has always taken telecoms security issues seriously - R&D investment in the 5G era can be described as better than that in the 4G era. "There is no change in nature, solely from a technical perspective," he added. "If there is really a change that we have perceived, that is that Huawei is really starting to gain leadership in the 5G era." He added, cryptically, that this leadership in 5G "may cause over-concern from certain parties".